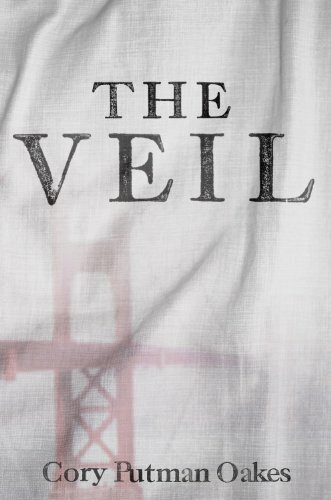 The Veil is a debut novel by Cory Putnam Oakes and will be released tomorrow. The Veil is told by the main character Addy, who lives alone with her Grandmother. As she turns seventeen, she realizes not everything about her life is what it seems. I am going to start with the cover. I am not a fan of the cover- though I absolutely understand that it is an almost literal translation of one of the scenes in the book. The Annorasi are so mysterious and magical- and I feel like the cover of this book makes it seem more like a murder mystery or suspense book (that is only my interpretation, however). Like I said, I understand WHY it is the way it is, but I wish it could be a little prettier. Addy's voice is what really shines in the story. The author did a great job of narration throughout the novel. I never felt like there were any gaping holes- in any of the characters. Their relationships moved seamlessly and developed in a natural way. Yes, the relationship between Luc and Addy moves quickly- but I honestly think that is pretty natural for the age. The book does seem a little slow in the middle and stalls out a bit while the author is developing the relationship between Addy and Luc. But I absolutely reccommend holding out and reading the book to the end. I thought the pacing of the book picked up in the last third and the author did a great job with the dramatic ending (sorry no spoilers from me). I also have to say- I am very glad to hear that the author is writing a sequel. I felt like I didn't know enough at the end of the story. I didn't really learn much about the Annorasi- I still couldn't picture them. Are they fey? Do they have any physical characteristics that are different than humans? Do they have wings? I am very interested in finding out more about the world the author has created. On a last note, I really hope that Addy's grandmother and... cats... are in the next book- in my opinion, they are the characters that were the most interesting. I want to find out more about them! All in all, this was a great debut novel, and I look forward to reading more about the characters in this series! Thank you to Jen at Banned Book Tours for letting me read this book!